Today, we propose you a circuit to learn a bit more about the 15th century in Barcelona. As the city evolves along the years, great monuments remain from this period. To have a full tour for the family, have a look at this kids cat, which propose a tour and treasure hunt. First step is obviously this 60 meters high column, on Plaça Portal de la Pau. 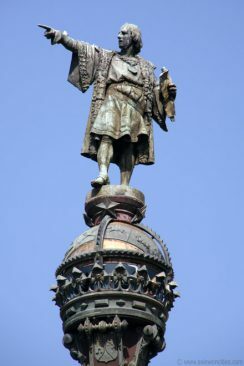 It is located on the site where Columbus returned from his journey. Legend says that he is pointed to the America. Some says he is actually pointed to the East, toward his hometown Girona. Take a look at all the detail on the foot of the monument; they described Columbus life. You can also go on top of the monument (book your tickets in advance). First food store in town, they sell products from overseas since their opening. 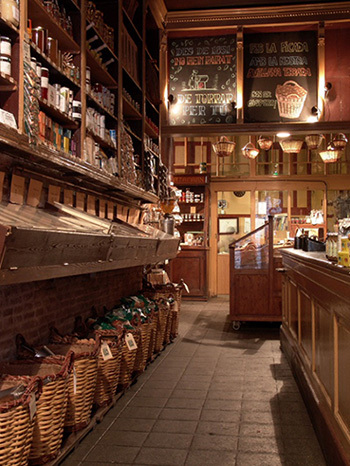 Well conserved, this store is a family business located in the Gotic Area. Their speciality is roasted nuts, thanks to their unique oven and a well kept secret. Located near Casa Gispert, this magnificent basilica was built during the 14th century. Dedicated to marines, you can notice the cornerstone, visible on each side of the door, with one side in latin and the other in Catalan. This hospital used to be the major healthcare complex of the city. 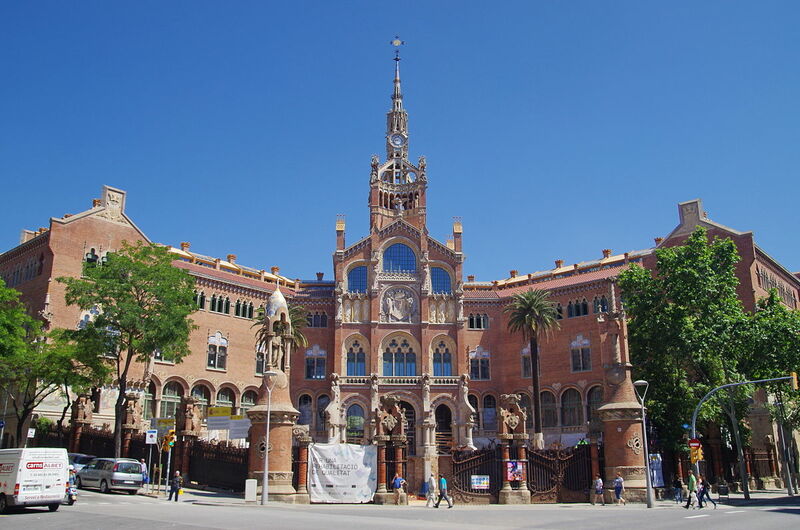 It was built in 1401 and its aim was to gather the 6 hospitals of Barcelona in one. Nowadays, it hosts the city’s library, on the superior level, where you can notice three halls without column, which were hospital rooms. On the ground floor were the administration, kitchen and laundry room of the hospital. Finish the visit by the Casa de la Convalescència (convalescence house), where you find now the Institut d’Estudis Catalans. This monument is an historical monument. Book your stay now in our family aparthotel in Barcelona!